Susan Retik is the Co-Founder and President of Beyond the 11th. Her commitment to Afghan widows was born of her own journey into widowhood when her husband David was killed in the terrorist attacks of September 11th. In the years since 2001 she has become an inspirational speaker, sharing her remarkable story of transforming personal loss into humanitarian outreach. She is also a Certified Leadership Coach, helping clients gain self-awareness, unlock their potential, and clarify professional goals to align more authentically with deeply held personal values. Susan has received numerous awards for her humanitarian work, including the Presidential Citizen’s Medal, the country’s second highest civilian award. 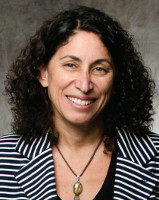 Deborah Zalesne is a tenured professor of law at the City University of New York School of Law. She earned her BA from Williams College, a JD from the University of Denver College of Law, and an LLM from Temple Law School. She has published articles on sexual harassment, gender discrimination, and poverty law in such journals as the Harvard Women’s Law Review, Yale Journal of Law and Feminism, Women’s International Net, Temple Political and Civil Rights Law Review, and South African Journal on Human Rights. In addition to Beyond the 11th, she also serves on the board of Iris House, a nonprofit that addresses the unique needs of women with HIV/AIDS. Shilpa Phadke is the Director of the Women’s Initiative at the Center for American Progress, a think tank in Washington, DC where she focuses on women’s economic security, health and leadership. Phadke formerly served in the White House as the Special Assistant to President Obama for Cabinet Affairs; as a senior advisor at the US Department of State; as deputy director for legislative affairs at the Council on Environmental Quality; and as a senior legislative policy advisor for the US Department of Homeland Security. A native of Massachusetts, Phadke began her career working for former Rep. Marty Meehan (D-MA), and played a key role in his advocacy for 9/11 families. Phadke received a master’s degree in public policy from the John F. Kennedy School of Government at Harvard University and a B.A. from Boston College. Patti Quigley co-founded Beyond the 11th and was instrumental in getting the organization off of the ground. In 2005, Patti resigned from Beyond the 11th, with Susan’s blessing, to shift her focus to Afghan girls as Executive Director of Razia’s Ray of Hope.